Everyone has different tastes. That’s why there are so many styles of clothes, so many different cars. That’s also why there are so many different types of beers. The proliferation of different beer styles is not a new thing either. For centuries people have been experimenting with different ingredients and brewing methods, and many of those ancient discoveries and traditions live on to this day. Below we’re going to look at the different beer types and styles that are readily accessible today. Granted, you won’t be able to find all of these at the local liquor store, but you will find all of them readily available at various Internet outlets. So we encourage you to read on and then sally forth and experiment. 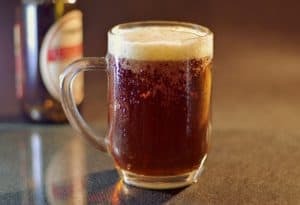 If you really want to get to know the different types of beer, you have to start by getting familiar with the 2 most popular types in the world today. 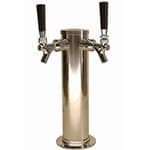 This doesn’t mean these are necessarily the best types of beer around – you may have your own idea about what constitutes the best type of beer – but they are without a doubt the most popular. The basic difference between lagers and ales comes down to the type of yeast used during the fermentation process. All the various differences that eventually come to define the two types of beer stem from these different types of yeast. 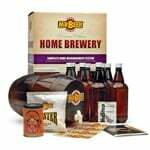 The biggest difference between lager yeast and ale yeast is that lager yeast is most comfortable in cold temperatures. Beyond the science, most of the beers that have come to be associated with specific countries are lagers, including Sapporo, Heineken, Budweiser and Tsing Tao to name a few. 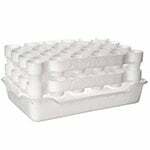 Where S. Pastorianus yeast is most effective at cold temperatures ale yeast, known as Saccharomyces Cerevisiae, is most comfortable doing its thing in warm temperatures. Saccharomyces cerevisiae has been known to mankind for thousands of years. Hops are typically used to produce types of ale as they do a better job preserving the brew. Next to lager, ale is the most popular type of beer in the world. The hops also produce a bitter taste that is used as a counterpoint to the sweet flavored malts used in the brewing process. Now let’s take a closer look at lagers and ales and shine a spotlight on some of the most popular of each beer type. The difference between ales and lagers is often described as one being “top fermented” (ales) and the other being “bottom fermented” (lager). The descriptions stem from the fact that the cold lager yeast settles while the warm ale yeast rises. Brown ale can be traced back to early 1700s England. At first, the term was used to describe the various types of porters and stouts being produced at the time. A hundred years later, Daniel Wheeler invented the drum malt roaster which led to a greater proliferation of beer styles and a greater desire to classify them to keep things straight. The popularity of brown ale has ebbed and flowed over the years. But despite the fact that there are no brown ales anywhere near the top of the list of most popular beer brands, it remains a steady draw today. 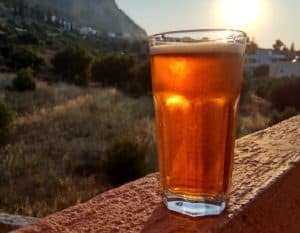 Pale ale has been around more than 300 years although at first it was often called “bitter ale” to distinguish it from milder ales of the time. Pale ale didn’t really gain traction in the American market until the 1980s. But once it did, there was no stopping it. 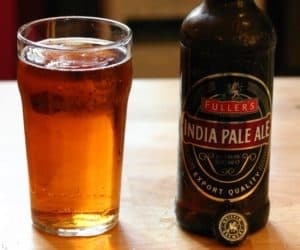 Today there are many different variations on the pale ale theme, but the American palate is attracted to those that are aromatic and possess a slightly bitter taste. Because there are so many types of pale ale trying to determine the overall popularity of this type of beer globally is difficult. Suffice to say though that it is consumed in vast quantities all over the world. Today there are myriad variations on the standard IPA, and it continues to gain fans both in major markets and in the far-flung corners of the world. Here are some of our favorite IPA Beers. As we discussed above the difference between top fermented and bottom fermented beer types has to do with the type of yeast used and its preference either for cold temperatures or warm temperatures. Lagers are produced using the Saccharomyces Pastorianus yeast which is a cold, bottom-dwelling creature. Below are some of the most popular forms of bottom-fermented beer, i.e., lagers. 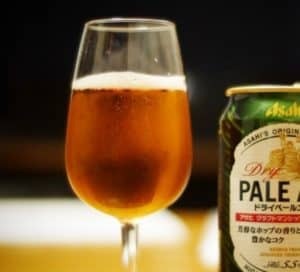 Pale lager is the most popular type of beer in the world by sales with several of the top 10 global brands being pale lagers. 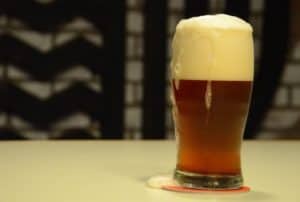 The pale lager can trace its origins to the mid-19th century when German brewers first applied certain pale ale brewing techniques to lagering methods of the day. As mentioned, pilsner beer and pale lager are often mistaken for one another, likely because they arose at nearly the same time in Central Europe. 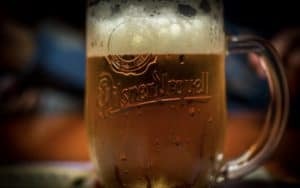 Pilsner originated in the city of Pilsen, which is located today in the Czech Republic. Pilsners differ from pale lagers though in that they tend to be more highly carbonated and have a fuller, hoppier aroma to them. Pilsners tend to be a bit high maintenance and spoil easier than some other types of beer. They really need to be fresh in order to show off their attributes too. Tsingtao is the most popular pilsner in the world today though not one the ancient brewers of Central Europe would likely take much of a shine to. Dark lager is often mistaken for stout or porter, and from a purely visual standpoint, the error is understandable. 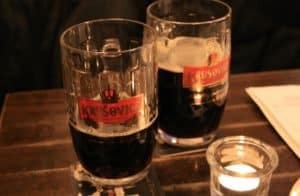 But dark lager – sometimes called black lager – is typically lighter in body with the hops coming to the fore to produce what many consider to be a pleasant bitterness. 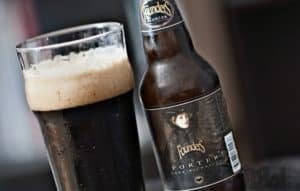 Today there are more dark beer types in the US than you can shake a stick at, while Köstritzer from Germany is one of the most internationally popular types of dark beer. Bock beer goes back to the Middle Ages in Europe, specifically to what is now the Northern German town of Einbeck. It is believed the term “bock” is actually the result of a mispronunciation of the town’s name (Ein “bock”). But whether that story is true or not the name for this particular type of bottom-fermented beer stuck and has been with us now for nearly 700 years. Bock is typically both stronger and smoother than other lagers with intense flavors that are the result of the protracted brewing process. Bock is one of the many beer varieties often associated with special occasions and holidays. The terms “porter” and “stout” are often used interchangeably, but the two actually have subtle differences. The main difference is that stout is typically a stronger type of dark beer than porter. Porters tend to have a discernible roasted flavor to them and are typically higher in alcohol content than stouts as well. Guinness Dublin Porter and Anchor Porter are 2 popular brands of porter beer. Like many beer types on this list, stouts have been with us for centuries. They are believed to have started as more full-bodied variants of porter beer. At first, the name “stout” was being bandied about with abandon with every type of strong(ish) beer being referred to as “stout” this or that. Eventually, it became associated only with porters and then with a subset of porters. But even today there is some confusion over exactly where porters end and where stouts begin. Without question the most popular stout in the world today is Guinness Stout. Belgian ales were originally created as a result of the anti-German backlash in the wake of World War II. Local Belgian brewers were looking to brew an alternative to German beer styles like pilsner. Belgian ales are typically less bitter than other pale ales and may have sweet malty overtones. Belgian ales are also known for their rich, thick heads and spicy characteristics. Wheat beer is typically light and enjoyed during the spring and summer months in particular. It may also exhibit fruity characteristics and is typically cloudy with a thick head that means business. Wild ale is one of two new types of beer to arise from the American craft brewing scene since the turn of the century. 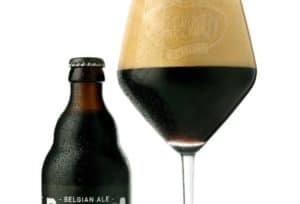 While the term is still in the process of being more precisely defined and is often used interchangeably with the term “sour” the basic description of this type of beer is one that exhibits an earthiness born of the Brettanomyces yeast strain. This type of beer is also typically very low in acidity. In some cases, brewers will choose to add bacteria to Brettanomyces based brews. The result is an acidic quality that produces a decidedly sour flavor. While all sour ales are considered wild, not all wild ales are considered sour. The two most common bacteria added to the brewing process to produce sour ales are Lactobacillus and Pediococcus. As we mentioned, because both of these types of beer are extremely new to the scene there is still robust debate over whether they even qualify to be their own categories of beer, if they should just be lumped in with other beers or if there should only be a single category of beer for both of them, with “wild” being the most likely choice. 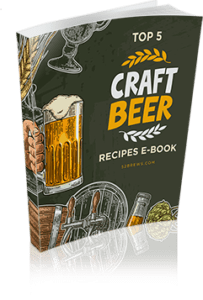 The term “specialty beer” is an umbrella term covering almost all types of craft beer made today that don’t fit clearly into an already established category. It’s likely that in time market forces will be enough to whittle the number of different kinds of beers down to a level where accurate categorization can more easily take place. But, for the time being, if it’s not clear what a particular beer is it goes in the “specialty” category of beer. Specialty or craft beer is often flavored with ingredients traditional brew masters would find amusing at best, blasphemous at worst. Ingredients such as ginger or hot peppers or fermentables like sweet potato or even maple syrup. One of the many things that make specialty beers so difficult to categorize is that the base beer, the point of departure, may be any type of classic beer style. Or it may be something the brewmaster made up on the fly. Because of this, you can forget about listing the characteristics of specialty beer types. There aren’t any. 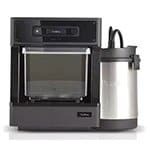 Practically each brew is a stand-alone creation. About the only characteristic they share is that they are all beer. 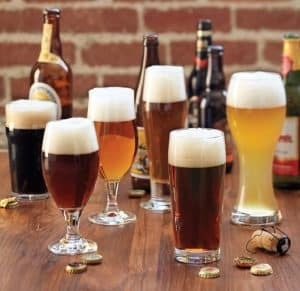 Though we have done our best to give you an overview of the different types of beers, there simply isn’t enough space here to cover all the thousands of different styles of beer currently being produced in the world. In a very real way that’s good. It means this is an artform that is still evolving, still undergoing refinement and revision. 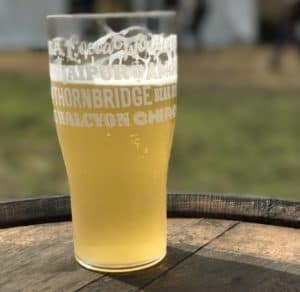 It’s entirely possible that the most popular style of beer in the world of 2019 has not even been created yet, but will spring forth from some previously unknown microbrewery in the years to come and eventually achieve global renown. So what are you waiting for? Put that mobile device to good use and track down some of these different types of beer and give them a try. 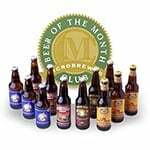 There are lots of websites that, for a small subscription fee, will send you a selection of different beers every month so you can see for yourself what all the fuss is about. You can read all about it here. 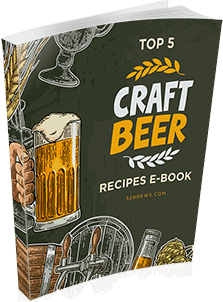 If, on the other hand, you want to try making your own brew, you might want to check out this simple guide on home brewing: Beer Brewing Made Easy. You’ll surely find something for you here whether you’re a complete beginner or a beer brewing expert.